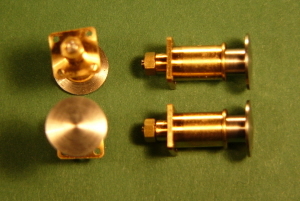 4 sprung buffers per pack. 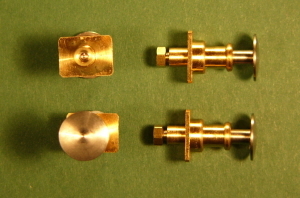 lost wax brass housings with turned steel heads. 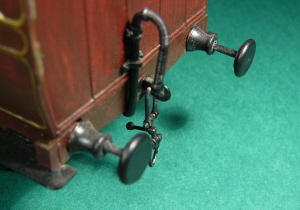 Sprung behind bufferbeam. 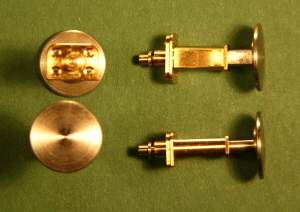 Shown fitted to a Roxey mouldings 7mm scale coach (Not included!). 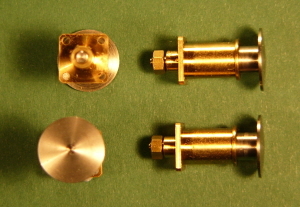 Also suitable for many SECR and LBSCR coaches. 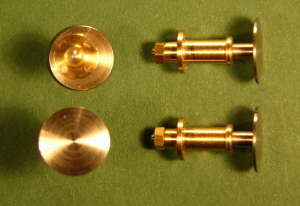 4 sprung buffers per pack. 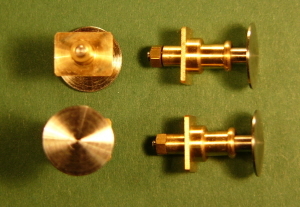 lost wax brass housings with turned steel heads. 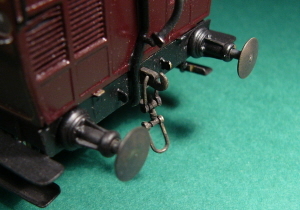 Sprung behind bufferbeam. 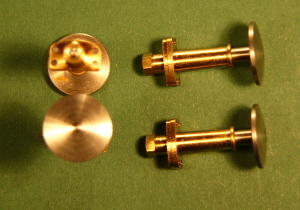 4 sprung buffers per pack. 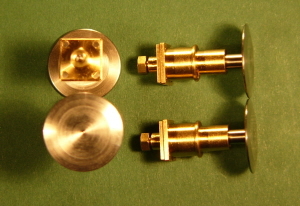 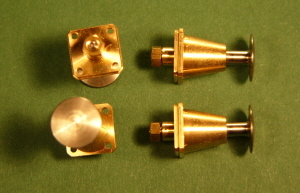 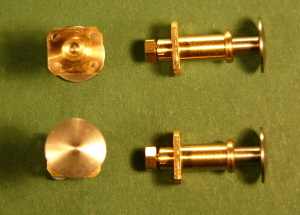 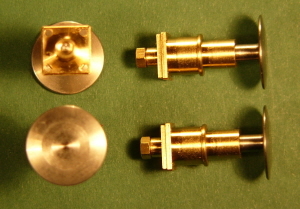 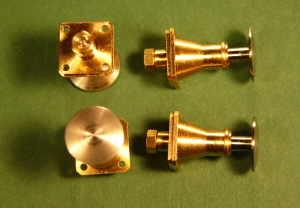 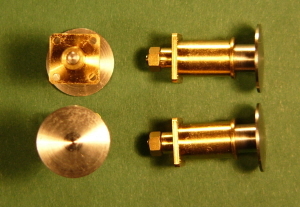 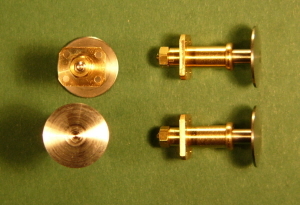 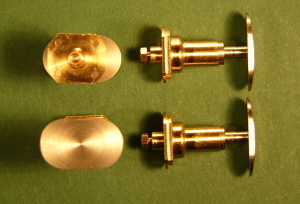 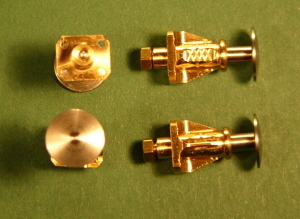 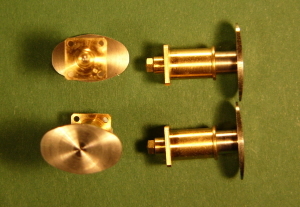 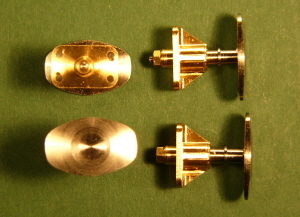 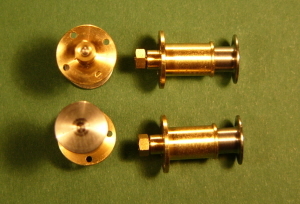 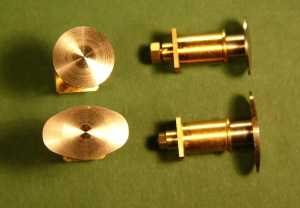 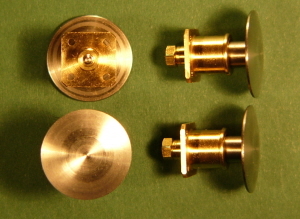 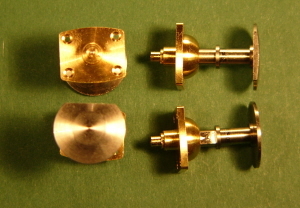 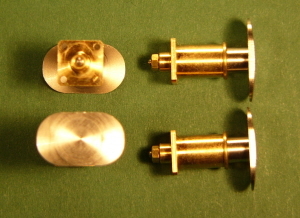 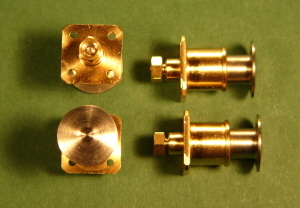 cast brass housings, with turned steel heads (Special wooden head pad type). 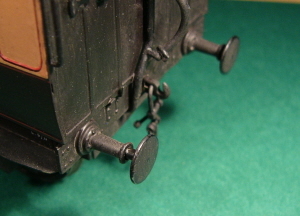 Sprung behind bufferbeam. 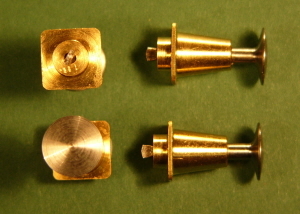 Shown fitted to a Roxey Mouldings Stroudley First (Not included!). 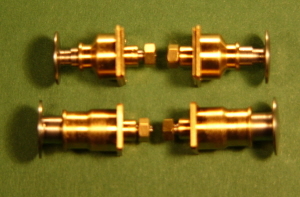 Set of four pre-assembled sprung buffers. 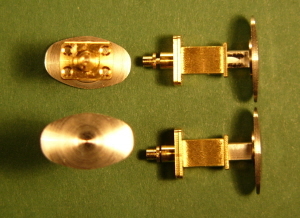 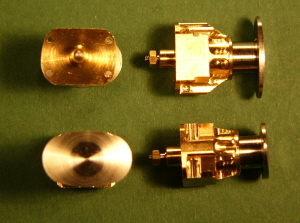 Stainless steel head and machined brass body. 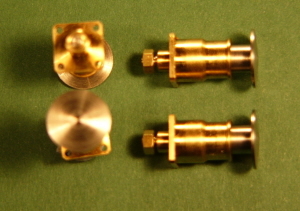 Pack of four sprung LBSCR Billinton loco buffers. 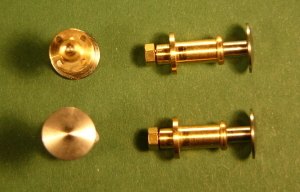 Turned brass body, turned steel head. 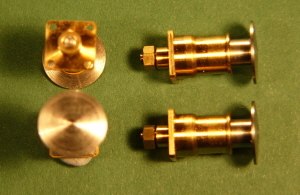 Suitable for all later LBSCR locos such as E4, E5, E6 and K.